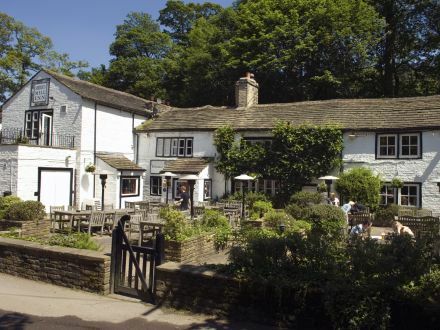 Shibden Mill Inn among final 18 venues to win "Yorkshire's Favourite Pub"
On behalf of The Great Inns of Britain, we’d like to say congratulations to Shibden Mill Inn who have been named as one of the 18 finalists to win this year’s “Yorkshire’s Favourite Pub” competition. A competition ran by Welcome To Yorkshire, reaching the final 18 has been no mean feat with nearly 800 separate Yorkshire pubs nominated for the prestigious award. With around 8,000 votes cast by the public, it appears Shibden Mill Inn‘s cosy interiors and top notch dishes still place the Halifax-based inn at the pinnacle of Yorkshire’s food and drinking scene. Winning Yorkshire’s Favourite Pub competition in 2011 as part of the inaugural event, this year’s winner will be announced during a presentation at the Great Yorkshire Show, Harrogate on Tuesday 10th July. To crown Shibden Mill Inn Yorkshire’s Favourite Pub for 2018, cast your votes on the Welcome To Yorkshire website today by clicking here. Click here to find out more information about Shibden Mill Inn.